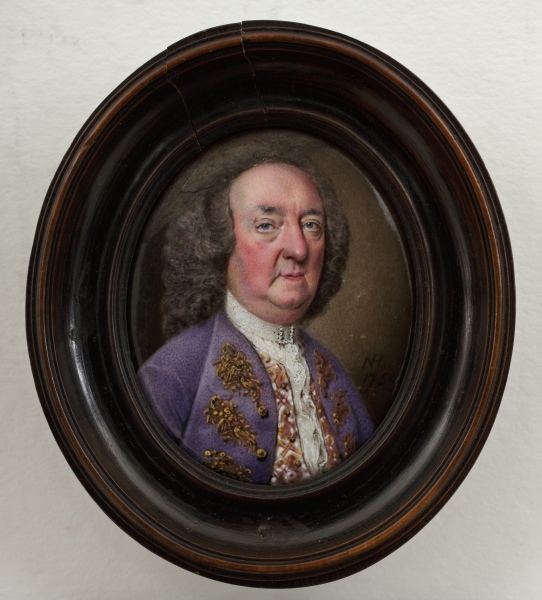 Portrait miniature: Richard 'Beau' Nash by Nathaniel Hone, enamel on copper, 1750. Richard Nash, Master of Ceremonies at the Assembly Rooms, helped transform Bath into England’s most popular spa. The Irish artist Nathaniel Hone’s miniature of the elderly Beau captures Nash’s character and famously flamboyant clothes.